Find more information about Sid Meier's Civilization VI on Giant Bomb. Dan follow's the normal wisdom and waited for some expansions before getting all societal. 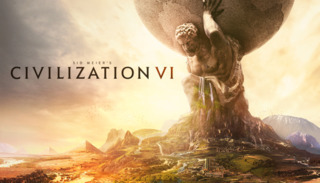 Dan gives civ another go to relearn all the old problems. Dan protects himself from the religious play. Dan anticipates the upcoming AI patch because it's a bit annoying. Dan is learning new-ish ropes. Dan takes his strategy to the barbarians and there's a lot of them. The game looks good but should PC games sell at console prices?